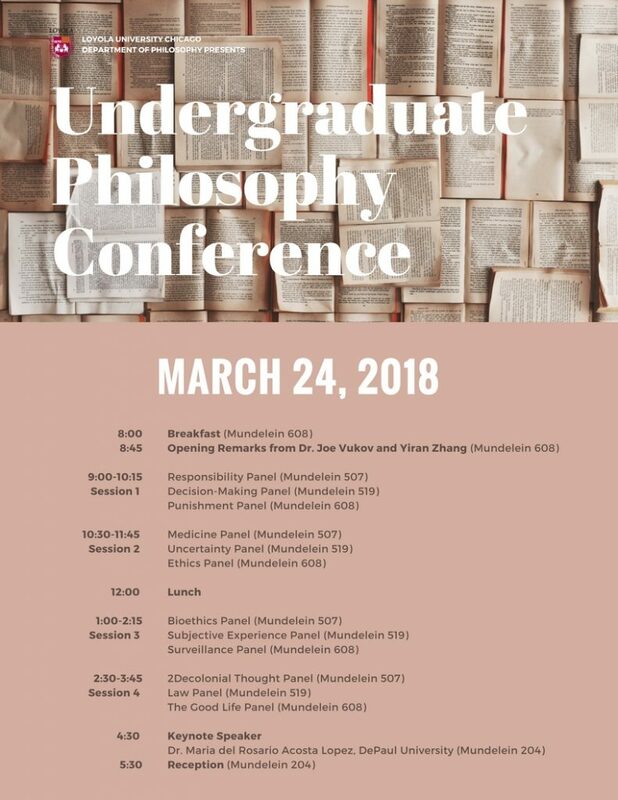 Announcing the first annual Loyola undergraduate philosophy conference! 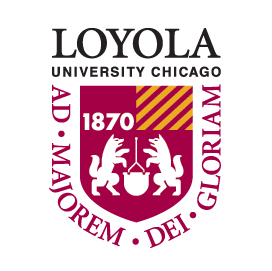 This public conference, sponsored by the Loyola philosophy department, will feature the work of Loyola undergraduate philosophers as well as their peers in other Chicago-area institutions and will take place on March 24, 2018, on Lakeshore campus. Our keynote speaker will be Dr. Maria del Rosario Acosta Lopez, Associate Professor of Philosophy at DePaul University, whose research focuses primarily on German idealism, aesthetics, and political philosophy. Dr. Acosta has published a range of books and articles on these and other topics, and also works in coordination with the Chicago Torture Justice Center and the Chicago Torture Justice Memorials.